Mary DuShane was the original fiddler for the Powdermilk Biscuit Band on Garrison Keillor’s Prairie Home Companion radio show. Since then, she has worked in bands playing country rock, old time, country swing, country blues and Cajun music. 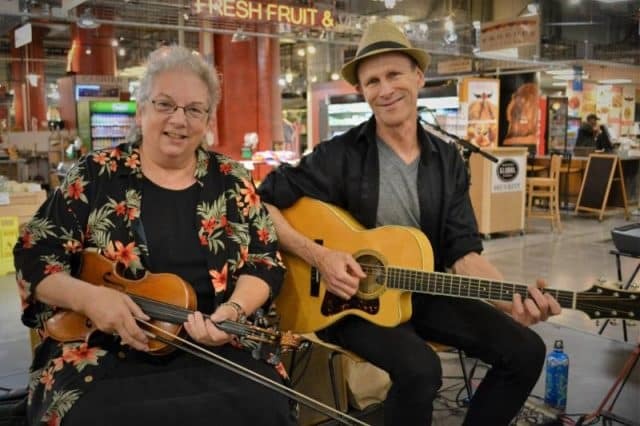 Mary is very happy to be teamed up these last few years with Nick Jordan, a seasoned player who sings well and plays guitar, mandolin, flute, whistle and foot percussion. Together they present a lively array of vintage old time, Cajun and swing songs, with Appalachian and some Irish fiddle tunes.